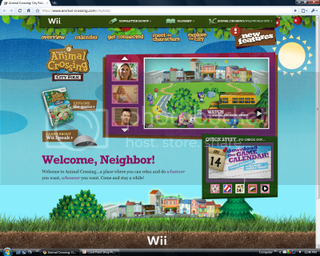 VGLosers.com - Animal Crossing is for Cheaters! Animal Crossing is for Cheaters! Nintendo wants you to cheat! Really! 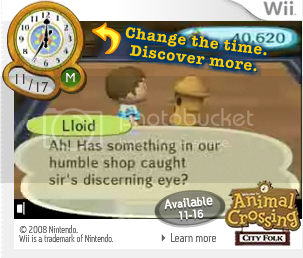 It's an ad for Animal Crossing. Adsense works by looking at the info on the page and finding ads that are relevant to what the content is. What the...?! Look at that ad. Take a close look. Do you see that feature they are advertising? Change the time. Discover more. HEY! That's what people call "time travel" in Animal Crossing! Certain events only happen on particular days. You have to play on those days to get special things. Some people consider it cheating to change the clock to unlock those events, while others don't seem to care at all if anyone does it. But this ad is promoting the practice. CRAP IN A HAT! 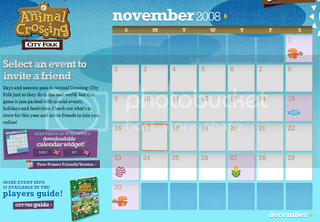 That's the official Animal Crossing site from Nintendo! And what's that down in the lower right corner? 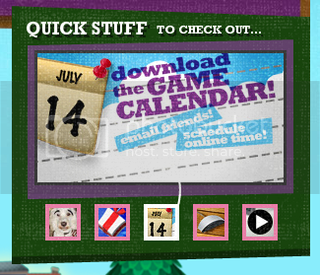 A calendar? Really? Does it show you when anything happens? Bells are the currency of Animal Crossing, in case you didn't know.